America is driving global volume and value growth of both still and sparkling wines and will spend a whopping $45 billion on wine in 2021. American consumers spent nearly $34 billion on wine in 2016 and the country remains the firm leader in value sales of wine around the world. 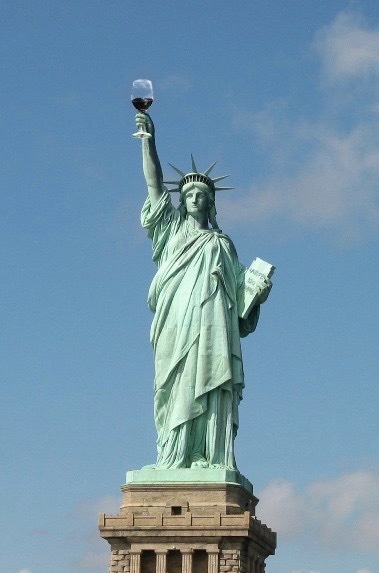 This upward growth trend is forecast to rise higher yet over the next five years, with Vinexpo predicting that Americans will splash out $45 billion on wine in 2021. The US has emerged as the global leader of volume and value sales of still and sparkling wine and looks set to extend this lead in the years to come. America will grow to become the largest importer of sparkling wine in the world by 2021, overtaking the UK, with Prosecco leading the charge. Growth in domestic wine sales in America over the last year remained steady at +2%. With this in mind we’ve rounded up the top 10 biggest-selling wine brands in the US off-trade over the last year. The data, from the IRI, has ben tracked from multiple outlets and convenience stores for the 52 weeks ending 28 January 2018. Click through to find out which wine brands made it into the top 10.